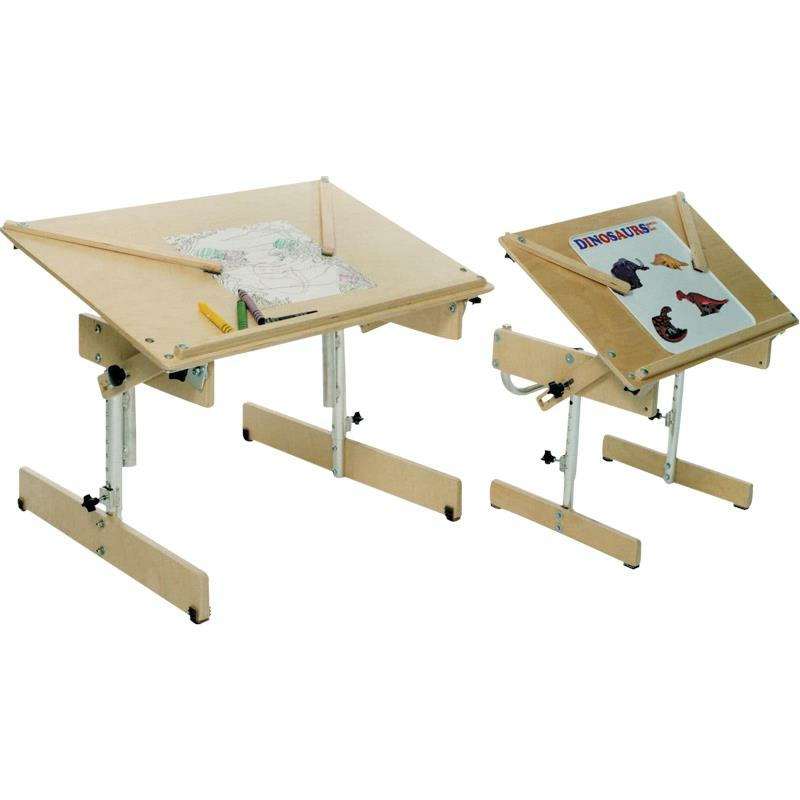 Kaye Large Tilting Table is designed to provide an adjustable-height, tilting, work/play surface to help position the user in a therapy, home or school setting. It has adjustable clamps to hold work, removable front rail and interfaces with bolsters. Distance from floor to table adjusts from 17.75" to 25.5"
Span between inside of legs is 21.5"